ALBANY – Barbara A. 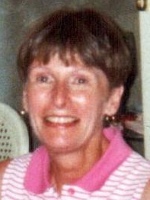 Wood, 65, of Albany, died Monday, September 12, 2011 in the Hospice Inn at St. Peter’s Hospital. Barbara was born in Albany and lived in the area all her life. She was a 1964 graduate of Albany High School, and held positions at Sterling Winthrop in Rensselaer, Job Corps in Glenmont and the Bethlehem School District. After these positions, she was employed by the Schaffer Library at the Albany Medical College, then the library of the Albany College of Pharmacy. She enjoyed gardening and taking care of her cats, as well as traveling to Maine. Barbara is survived by her beloved husband David H. Wemple; her son Michael Wood; her brothers and sisters Beth Hunter (Donald) of Bolingbrook, IL, Philip Caprood (Karen Susan) of Colonie, Christine Chavez (Raul) of Willits, CA, and David Caprood (Jerry Cheruka) of Albany; her aunts Linda Zampier (John) of Westmere, and Beth Trimble of Suffolk, VA; and by several nieces and nephews. A memorial service will be held in the Hans Funeral Home, 1088 Western Ave., Albany, on Friday, November 4, 2011 at 7 p.m. Relatives and friends are invited, and may call at the funeral home prior to the service from 4-7 p.m. The family suggests memorial contributions be sent to Community Hospice of Albany, 445 New Karner Rd., Albany, NY 12205; or the Catskill Animal Sanctuary www.casanctuary.org , 316 Old Stage Rd., Saugerties, NY 12477. To leave a message of condolence for the family, send a sympathy card, or obtain directions to the funeral home, please visit www.HansFuneralHome.com. I was so sorry to read about Barbara in the paper. I had known she was sick but was hoping she would get better. Barbara and her family were our neighbors when Michael was young.We enjoyed Barbara’s smile and wit. Michael – Christine and Steve send their sympathy also. Barbara was a pleasure to work with at the Albany College of Pharmacy and Health Sciences. She always had a smile and a kind word for each person she met in the Library. And her support of our students enriched their lives. Our pleasant memories of her will help us deal with the loss and our prayers go out to family and friends. To Dave, Phil, Beth, Chrissy, and the entire Caprood family. I’d like to express my thoughts and prayers in your time of need. My deepest condolences to your entire family. I first met Barbara my Freshman year at Albany College of Pharmacy and Health Sciences. I held a work study position at the library up until my last year of classes. Barbara always found a way to make me smile and encourage me. She would keep telling me to keep smiling and after each semester passed, Barbara would say “you are getting closer and closer to graduation!”. Barbara was strong willed and I will surely miss such a wonderful person. My condolences to the family and friends of Barbara Wood.